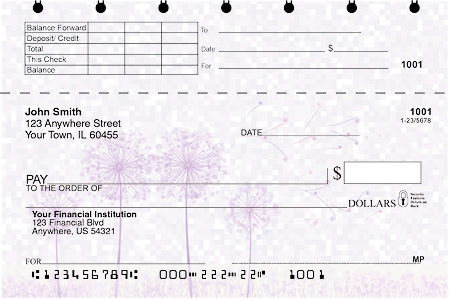 From dandelion wishes to dreamy aspirations, these personal checks express desires and things hoped for. There are dreamcatchers and affirmations, inspirational themes, and positive thoughts. Browse the selection and find your favorite. Most have coordinating accessories available, which may include checkbook covers and/or return address labels. Click any item for more information and to order. Highlighted by soft rainbow colors, these angelic faces evoke the purity and beauty of their natural surroundings. Add meaning to everyday while protecting your checks with this vibrant checkbook cover.